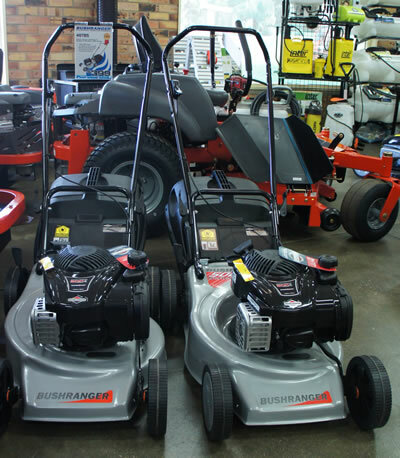 Schmidts Mowers and Chainsaw Services are pleased to offer the range of Bushranger mowers. - quality commercial grade products for the Australian market, whether for the professional or savvy pro-consumer. Rigorously tested here in Australia to provide equipment that can handle our tough Australian conditions. Built to a standard, not a price.